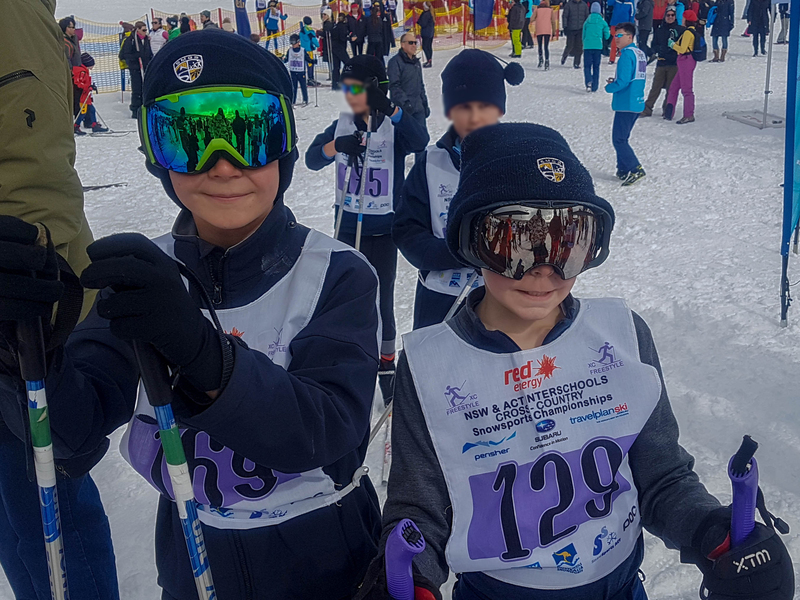 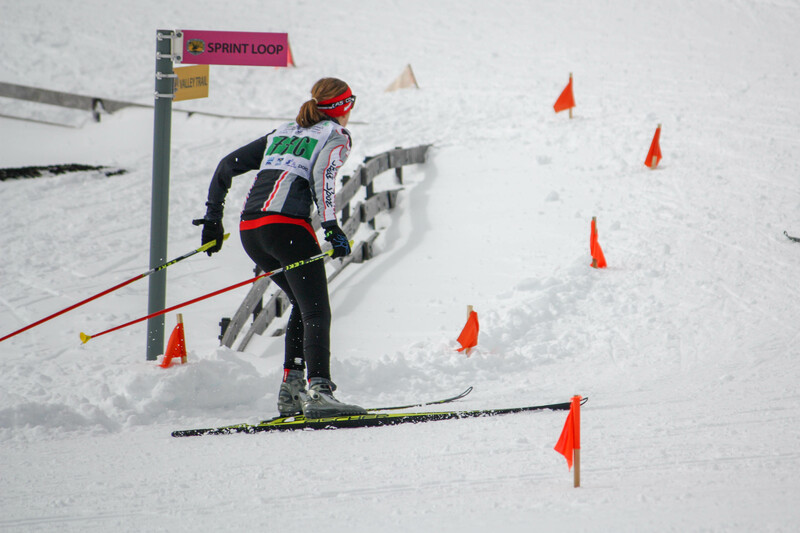 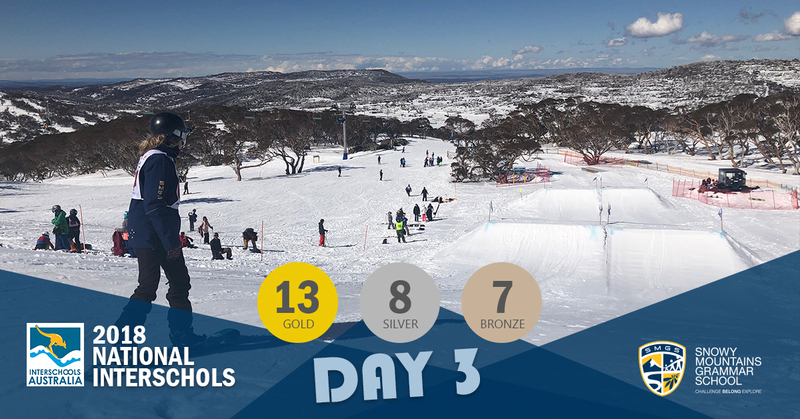 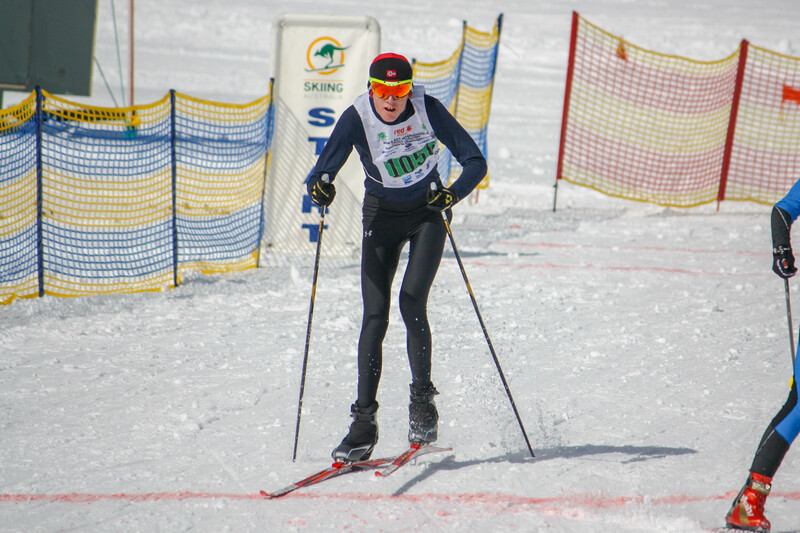 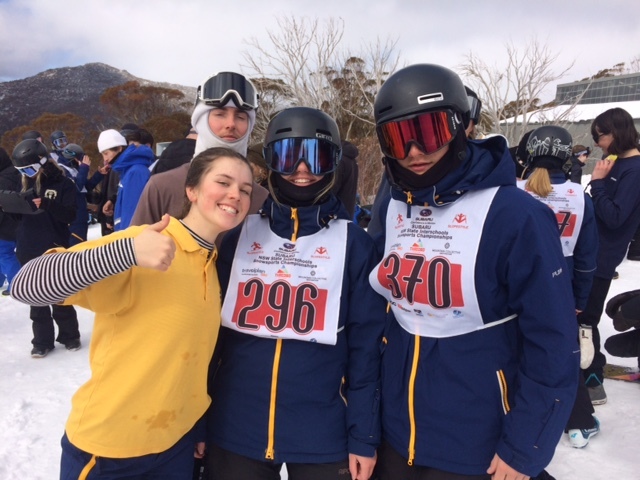 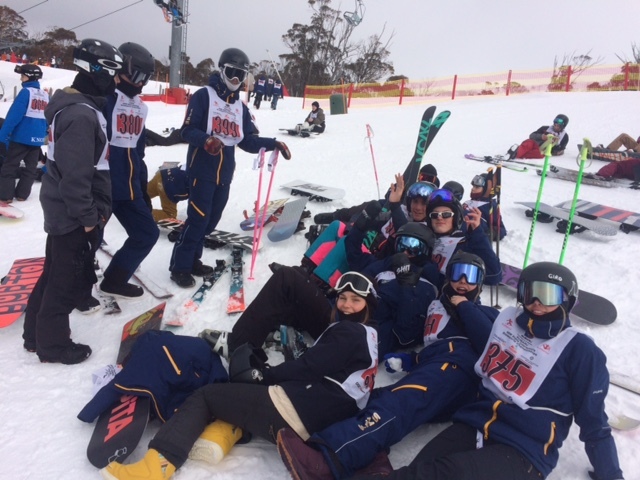 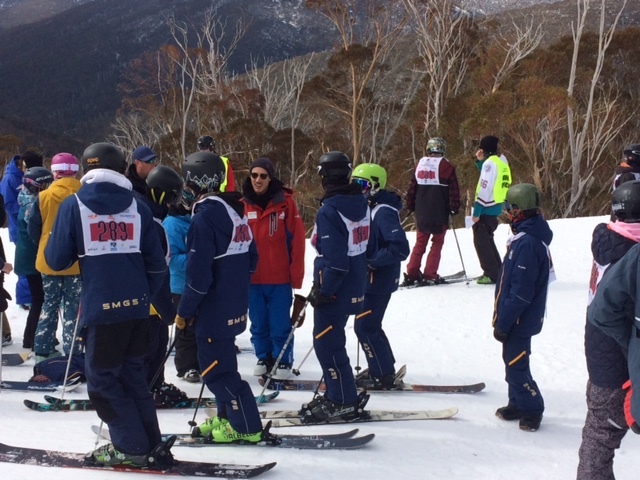 It was beautiful conditions for Day 2 of the NSW State Interschools Snowsports Championships in Thredbo while over the ridge in Perisher, the conditions were perfect for our athletes in the NSW & ACT Interschools Cross Country Championships. 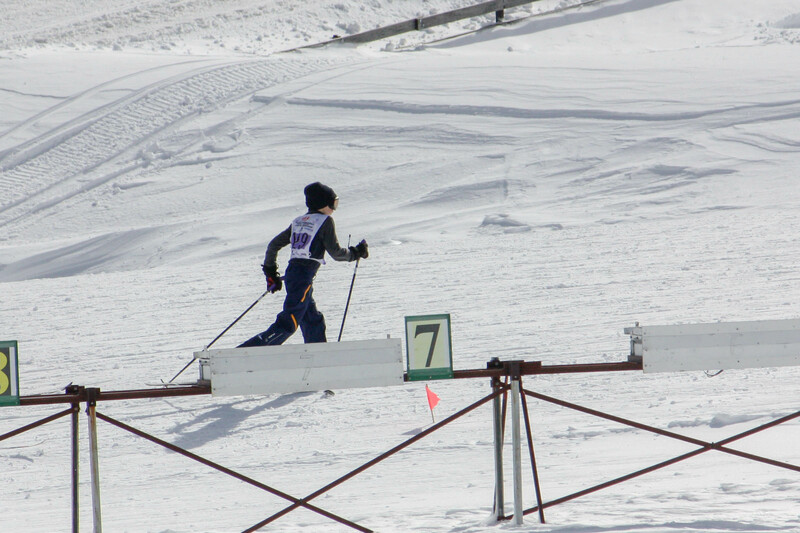 On the Perisher Trails, conditions were perfect for racing with no wind and plenty of sunshine pushing through. 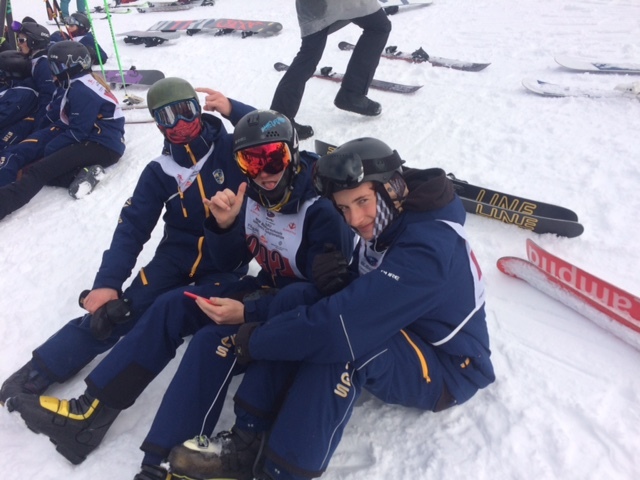 Declan Burke kicked off the day with a hard fought 2nd place in the division 1 freestyle event with Sam Bylett adding to the medal tally with a strong 3rd place in the division 2 race. 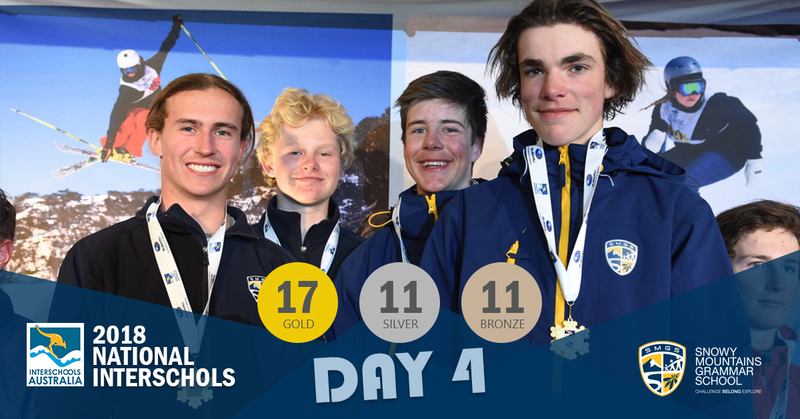 The boys continued their fine form, dominating the division 1 relay to take top step of the podium by some distance over Newington College. 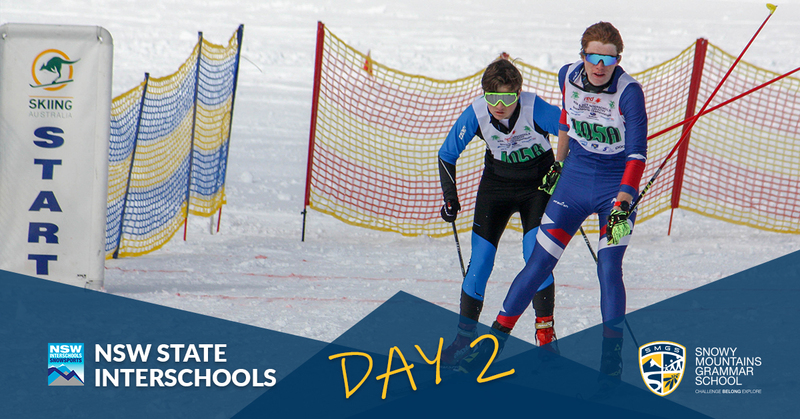 In the division 2 female relay, a storming finish from Olivia Burke saw the girls take 3rd Place in very exciting race that featured numerous position changes over each leg. 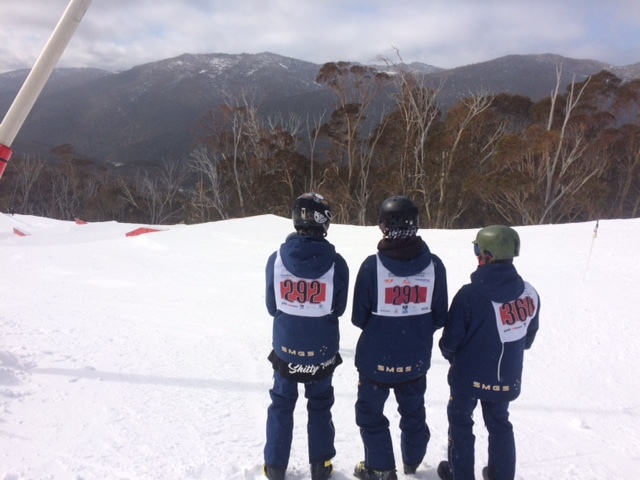 Over in Thredbo, our Slopestyle athletes headed up to the Cruiser Park with near perfect conditions and some great features. 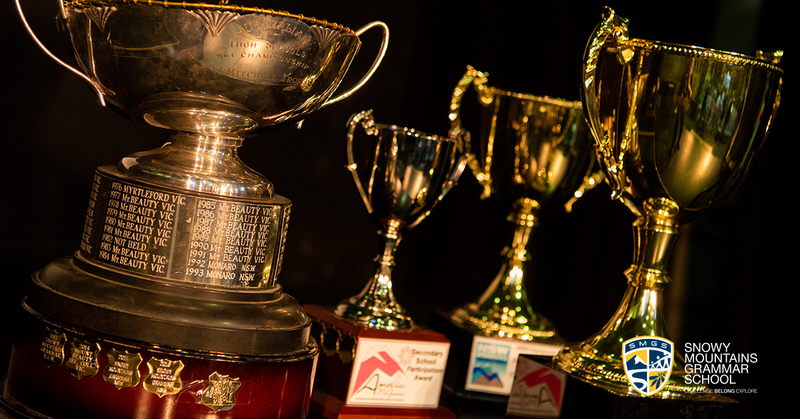 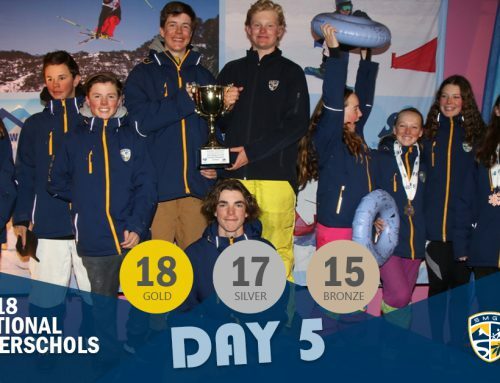 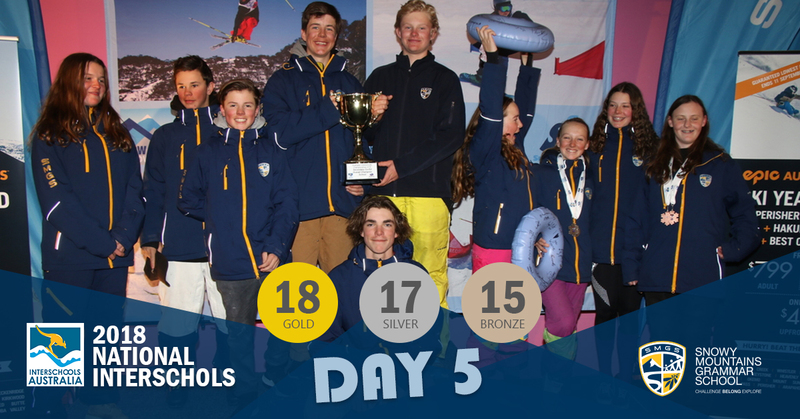 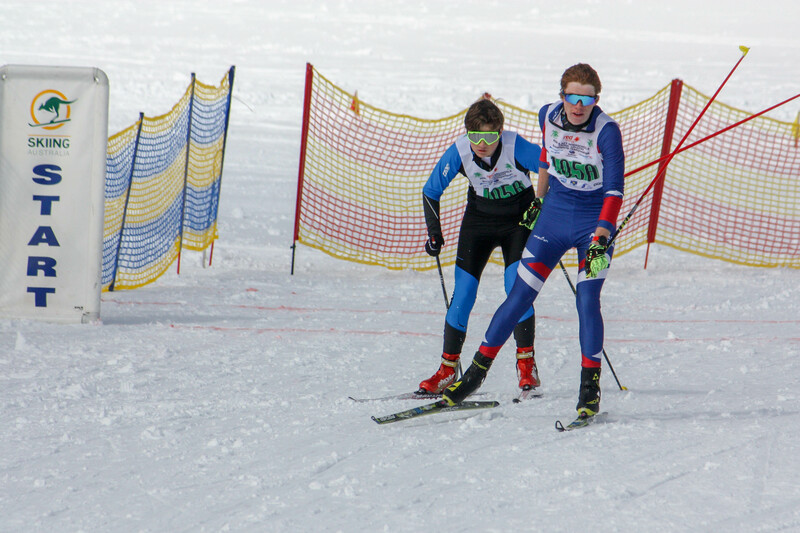 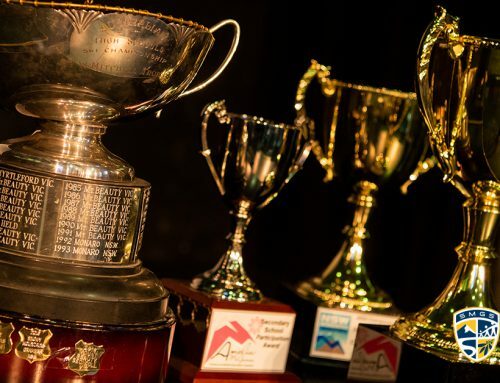 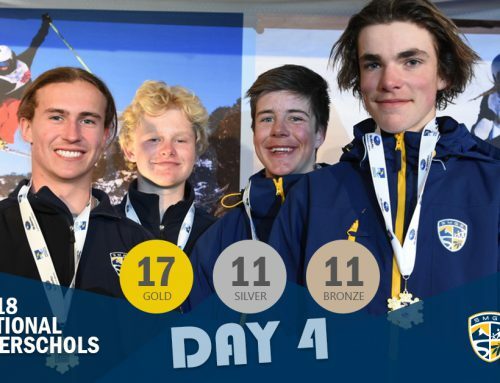 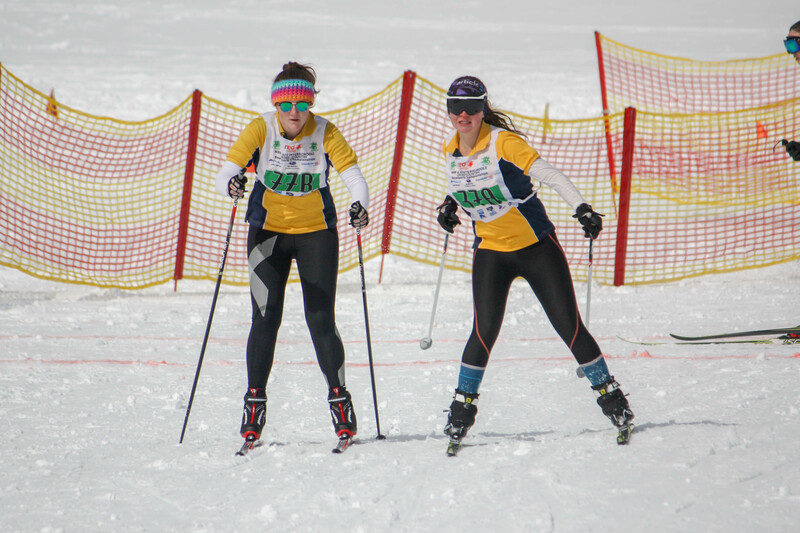 The team put in some very strong performances to dominate both the ski and snowboard team podiums. 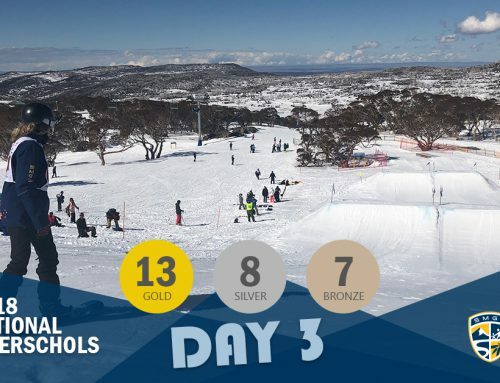 Tomorrow sees our snowboarders return to the hill with SnowboardX (Division 1, 2 & 3), Snowboard GS (Division 4 & 5), Moguls (Division 5) and our little division 6 speedsters hitting High Noon for the SkierX.